Many-Flow supply systems with its modular design establishes a complete range of gas manifolds either for cylinders or for bundle gas supply with acetylene or high compressed gases up to 300 bar. 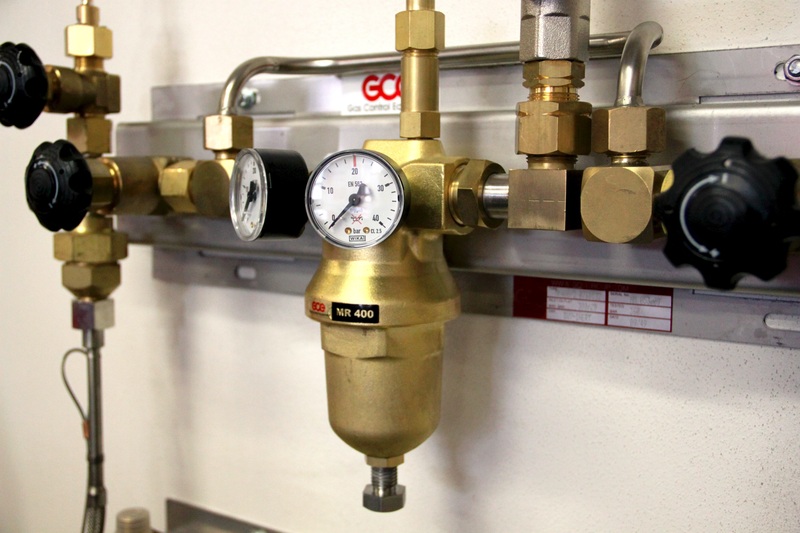 Many-Flow manifolds make gases available when and where they are needed. The object is to give uninterrupted gas supply. Optional features, like acoustic and optical gas leakage monitoring devices, supervises the gas supply and facilitates uninterrupted monitoring of the gas reserves. Different gas flow levels may be selected. Stainless steel tubes with different lengths are provided to prepare this modular concept for connection of more gas packages and therethrough to extend particular gas supply for requested operating conditions.